A new short video by John Greyson following Queers Against Israeli Apartheid (QuAIA) at World Pride in Toronto in summer 2014. An inspirational story of one Palestinian community which finds unlikely allies in their peaceful resistance against the destructive force of the occupation. Struggling side by side, father and daughter unleash an inspiring, yet little-known movement in the Occupied Palestinian Territories that is still gaining ground today. In an action-filled documentary chronicling this movement from its infancy, BUDRUS shines a light on people who choose nonviolence to confront a threat yet remain virtually unknown to the world. The movie is directed by award-winning filmmaker Julia Bacha (co-writer and editor Control Room, co-director Encounter Point), and produced by Bacha, Palestinian journalist Rula Salameh, and filmmaker and human rights advocate Ronit Avni (formerly of WITNESS, director of Encounter Point). While this film is about one Palestinian village, it tells a much bigger story about what is possible in the Middle East. Ayed succeeded in doing what many people believe to be impossible: he united local Palestinian political factions, including Fatah and Hamas; he brought women to the heart of the struggle by encouraging his daughter Iltezam's leadership; and he welcomed hundreds of Israelis to cross into Palestinian territory for the first time and join this nonviolent effort. 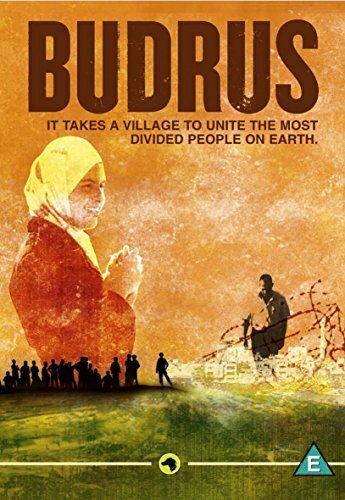 Budrus includes diverse voices from the Palestinian leaders of the movement and their Israeli allies to an Israeli military spokesman, Doron Spielman, and Yasmine Levy, the Israeli border police officer stationed in the village at that time. While many documentaries about the Palestinian-Israeli conflict either romanticize the notion of peace, or dwell entirely on the suffering of victims to the conflict, this film focuses on the success of a Palestinian-led nonviolent movement.